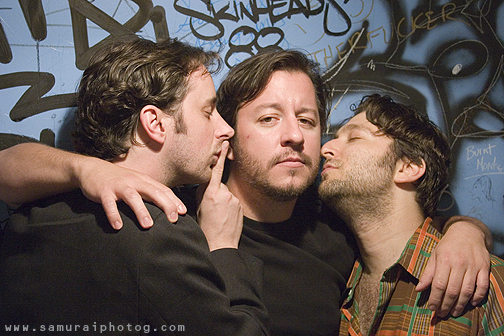 Trio of trouble, Cake Shop NYC, 2006. L-R: Chip Zdarsky, Dean Haspiel, and Dan Goldman. They are three of the members of ACT-I-VATE, an online comix collective.